Vastu Shastra for Living Room (Family Room) : A living room, also known as sitting room / Drawing room (especially in the UK), lounge room or lounge (in the United Kingdom and Australia), Hall (especially in India) is a room for entertaining guests, reading the books watching TV or other activities. The word Lounge is from the Latin, it was brought over later on by the French. In 16th century, English people called it as withdrawing room, withdrawing chamber, drawing room, formal state room, formal drawing room, formal family room etc. Now in USA, the family room means, where all the family members entertain, sit, discussing things, passing time, watching Television, reading books etc. In USA, living room means, only outside people sitting areas when needs to meet the residents. For example, in USA, there is two rooms, one is for family room and another one is living room. The family members, most probably lives in Family room only, very rare they sit at living room, this living room is particularly for the guests, outsiders, other people etc. In modern homes and apartments the living room has replaced the old-fashioned parlor. In the 19th century, the parlor was the room in the house where the recently deceased were laid out before their funeral. Most of the homes in USA, the living room is very near to the foyer/main entrance door. This became the more affirmative term "living room" in the 20th century. The term marks the twentieth-century effort of architects and builders to strip the parlor of its burial and mourning associations. A typical western living room will be furnished with a sofa, chairs, Settee, occasional tables, a television or stereo equipment, bookshelves, as well as other pieces of furniture. Traditionally a sitting room in the UK would have a fireplace. In Japan people traditionally sat on tatami instead of chairs but western style decor is also common these days. In the United States of America / USA, sometimes the living room is reserved for more formal and quiet entertaining while a separate recreation room or family room is used for more casual activities. Most of the residents looking for the flowy area from the family room to the kitchen, many residents asking for free flow from kitchen to the family room or Living room, and further residents requesting about importance of vastu in interior design, interior design is the most important feature in living room. Don't further about this interior design when following living room vastu tips. In Australia, the living room is more often referred to as "the lounge" and is used for both formal and casual entertaining, although casual entertaining also takes place in the backyard. The term front room can also used to describe a living room, because in many homes the front door opens into the living room. After Bedroom we spare our most time at our residence is only at “living room”. Here living room plays a vital role according to vastu shastra if the living room is not constructed or set according to vastu shastra the residents of the house may be suffering from so many troubles because vastu works on the basis of sparing time at a particular place. At some houses, someone is constructing a living room as per their tastes and interests. Well let it be continuing but before constructing the same why not follow vastu, what is wrong by following Vaastu, its nothing. Better to follow vastu and construct all of your properties, assets according to vastu shastra. Most of the houses the front room is the living room, and most of the living rooms are wide and larger than all the rooms at house, well here Vaastu works in a hidden method, if at one East facing house there might be living room is the front room, its correct and giving good results to the residents. Likewise, North facing house residents also receives good results by putting the living room at front side i.e., the living room is front side. But whereas it should not happen at the west side facing houses and south side facing houses. Here the residents must take the most precautionary methods by setting the living room as the first room where is in before the entrance. Don’t construct the living room as a front room at west side houses and south side houses. You can keep a number of doors to the living room, but all the doors should be at the correct places as per the vastu shastra. You are aware that “doors” plays a very important role at the house as per vastu shastra. Once again remember, the living room got 2nd rank in the home vastu after Bedroom, in general, or in some instances, the living room got 1st place as per our living style. Decorate as much as you can, but importance may be given to vastu, then only you enjoy the life with your family members, otherwise, you are striving for your livelihood that will be the entertainment to your neighbors and your enemies. Be careful while you sitting at the living room for discussions about different category business deals. As you are owner of the house, you have to sit at the chair or sofa-set, your face should be towards East or North, and guests, panchayatdhars, litigants, partners should sit and their face should be towards south or west, this type of sitting will leads victory on your discussions, finally you will get success on Panchayats (Litigation). Before doing any alterations to the house or buying the properties it is better to consult one expert Vastu Consultant. In this image the two chairs are towards Southwest-west direction and the sofa is towards Southwest-south area. Owner has to occupy the Southwest-west chair or Southwest-south sofa and placement is towards West direction. In this image there is no any chairs or sofa-sets towards West facing i.e., East direction and South facing i.e., North direction. Arranging ottomans to main furniture or even bed also very comfortable. Now most of the furniture come with Ottomans. Heavy sofa sets i.e., heavy gauge or heavyweight sofa sets are to be placed towards Southwest, West or South direction rooms. Please note that this system may not suitable for North or East facing houses, which the living rooms are towards Northeast corners. We should not forget about one thing, cleaning is the most important in the home, then automatically we may observe the positive force occupied our home premises. Should not be placed for the dust Pulverulent which may attract the negative forces, in some homes we may observe crumbly or powdery dust, which causes health disorders. Always keep an eye on dust formation in the home. Some residents are serious in doing vastu corrections and forgetting this dust clearing from the home, for them this article is helpful. If inhabitants are really required urgent vastu results, then they may first concentrate on home cleaning and proper maintenance, they can easily find out the changes. Using aroma diffuser at home is also recommended. Once we go dia from this aroma diffuser we feel relaxed, once we relaxed then chances are more to get a solution to our problems. Some people are unnecessarily waving the furniture in the name of Vastu Shastra, one should not do such practices, before doing any changes in the home please take consultancy from a Vastu expert, he can guide you properly, otherwise, it looks weird/awful/eerie. Some homes have two living rooms, one is active and another one may be dormant. Let, check in which living room the members of the family most of the time using it, then more concentration should be required on that living room. Keeping some attractive items at Living room is recommended, don't place the cheap items, some may interested to keep materials like palladium or silver or wood. Better to choose only the costly items. Don't bring the low-cost competitive price items. The low priced items has bad and negative vibe. Can buy the vivid items but they should be pricey. If residents compulsory needs then they may keep the adorable images like God Photos etc there. Always make this room bright, if the room is dark or wall colors are peeled off then change repaint them or change the wallpapers. Some homes have staircases to go to penthouse and duplexes then observe this living room should not be in the Northeast corner. Now most of the family members fed by sitting in the Living room. 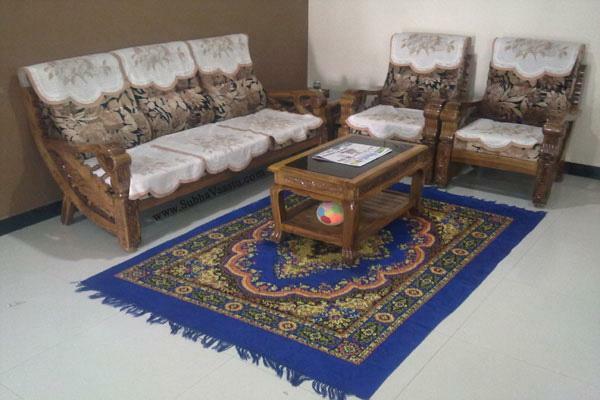 If their time of sitting in this room is heavy then count, how many hours they are living in this room, sometimes residents never get good results only because they hide the facts before vastu consultant for ex: where they are sitting, where they are gathering / hangout, where they are sleeping, where they are working in the home etc. This is the only reason most of the residents fed up with this vastu science. First, select only the vastu expert and don't hide anything before him. Observe the living room placements here, it is better to ask your nearest vastu expert consultant and then only construct the living rooms at Northwest or Southeast parts. 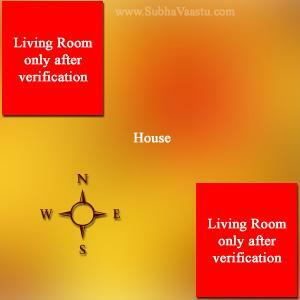 First observe which direction house is yours and where is the main entrance and where is the living room located. If there is a living room at Northwest area, then the Northeast-east door is more beneficial. If there is a living room towards Southeast area, then the door is towards Northeast-north is more beneficial. Now the living room is towards Northeast part of the property. Living room is best suitable at Northeast area, Northeast includes with North and East. Or plan living room at North direction or East direction. In such case don't use the heavy or overweight furniture. For any facing houses or direction houses, the living room towards Northeast is good. East and North living rooms are good as said earlier and these placements are beneficial for the residents. Please note that in the name of the living room the Northwest and Southeast should not be a club. The expert vastu pandit will definitely provide you with the best recommendations. The floor level slope of the living room should be towards the Northeast. The internal furniture and showcases and maybe some heavy weight furniture or articles should be placed towards Southwest parts or South or West directions. The head of the family may sit facing towards East is best second best is North direction. Shortly we will update the latest information here. Be in touch with our website. Maintain good colour to the living room. Light colors mix with dark colors looks great, see the above room with furniture. There is two color mixing. Dark color to South direction wall and light color to West direction wall, in this small photo everything may not visible, but the practical vision is really nice looking. Observe the TV positions in the living room, many residents placed the Television towards South or West walls. Some arranged the great showcases and in that there is an availability of TV placement, looks very nice, but for vastu Shastra purpose this is not good system. TV may be best suitable towards North or East directions. Please note that TV is good for retired or old aged people, it is not advised for the children or young age people, it is a waste box. The exact placement of TV may be in the storeroom, not in the living room. With or without our knowledge it steals our valuable time. Beware of this time thief. Recliners are good to place in living rooms. Keeping the TV is towards North, East or Northeast is always good. Generally, we sit at sofa sets and watching the Television, this is natural in almost all homes, so we will take rest by seating towards South, West or Southwest to watch TV shows if the Television is towards East, North or Northeast. But regarding music system, there is no need to watch anything, it's only listening. So you may place it very near to your seat which the resident generally take rest, i.e., Southwest, South or West. So you may keep the Sound Music box towards South, West or Southwest. All these directions are not convenient for you to keep music system then you may place at anywhere in the room except Northeast part of the room. 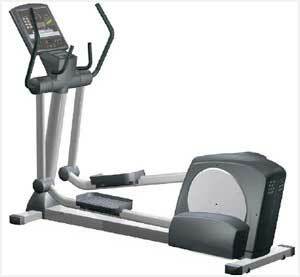 The elliptical machines and other exercise machines are best suitable towards Southeast, Northwest etc. If these are heavy in weight then place them towards Southwest parts of the house. Some are heavy gauge and weight they are best to place towards Southwest or West or South of any room. All exercise items are good to keep towards Southwest parts. 1. Clutter, its an annoying issue in the residence. One should always declutter the mess. 2. 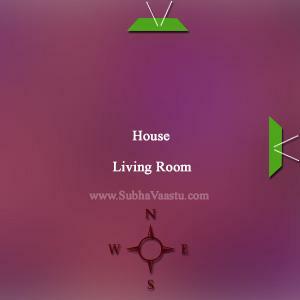 How much your living room is decorated that much you may enjoy the benefits of vastu shastra. 3. Peel off-color in the living room is a dangerous phenomenon. 4. Besmirched cloths usage on the furniture may obstruct in getting positive results. 5. Obliterate doormats is not recommended to use in the house, particularly in the living room. 6. If there is a faded color in the living room, let immediately try to make it repaint or make it fix with wallpaper, fade is not good in getting positivity. Who is best vastu consultant in Cary? Vastu compass, how to use the compass? Using 3 stove burner at kitchen, is it wrong? Which direction home is good as per astrology? Vastu tips for lift, which place is good for elevators? What are right places for husband and wife while sleeping on bed? so i want to know if we do 1feet down level of drawing room from ground level than is that appicable as per vastu or not ? my living room is same as you have shown in sofas pic.i wanna know about what to put in south west corner? I want to place my music boom box...in which direction to be placed..my rental house is East facing...the door opens in the east. 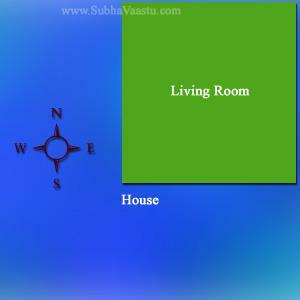 I am very thankful to you for sharing such interesting details on vastu for living room. However, I would like to know whether south bound living rooms are advised for construction or not. My kitchen is in the south eastern side with no wall on western side. I want to club my living room and kitchen. Can I proceed with the construction of south bound living room.